Core Advantage is your one stop shop for athletic development. We will provide you with world class strength and conditioning coaching and nutritional advice so that you can fulfil your true sporting potential. All Core Advantage athletes receive a detailed bio-mechanical and performance analysis designed to pinpoint weaknesses that might be holding you back. Once we have done this your coach will develop a customised program designed for your sport and body. You will then be coached every step of the way along your journey to becoming the best athlete you can be. Teenagers are not simply smaller adults. Their unique biomechanical needs and rapid growth rate means they require specialised solutions when undertaking stength training. We train athletes from all sports and skill levels, whether you are aiming for the next Olympics, trying to secure a college scholarship or simply want to be the best you can be, Core Advantage has been helping build robust explosive athletes since 1999. Running is the foundation of almost every sport, but is rarely taught to athletes outside track and field. Correct running technique is vital not only for maximising speed, agility and fitness but it is also a crucial component of our injury prevention and rehabiliation programs. Injuries are an unfortunate part of sport, and while sometimes they are inevitable, there is an enormous amount you can do to reduce your risk profile and minimise the effect of an injury on your athletic career moving forward. We combine the latest in cutting edge technology, research and scientifically backed rehabilitation methods to ensure you not only return to the sport you love but also have a reduced risk of injury in the future. Using the latest in innovative cutting edge precision technology Core Advantage is Melbourne's leading company for athletic testing and profiling. With over 1,000 indiviual athletes profiled in the last 12 months, we know exactly how you stack up to the competition and how you can improve. Our very own in-house Nutritionist Dr Dominique Condo is now offering consults for athletes of all ages. Consultations are open to both Core Advantage members and non-members. Dr Dominique Condo is an experienced Accredited Practicing Dietitian, Accredited Sports Dietitian and lecturer in Sports Nutrition at Deakin University. She consults to Geelong Cats Football Club (AFL) and the Deakin Melbourne Boomers (WNBL), having extensive experience working with both junior and elite athletes offering nutritional support and advice. Dom has a special interest and experience in supporting athletes meet body composition goals for their specific sport, the dietary management of bowel issues, food intolerances and disordered eating. Dominique is dedicated to her profession and teaching others how to adapt their dietary intake in order to meet their goals whilst ensuring the best health outcome. She treats every individual differently, adapting her approach and advice to suit the specific situation. Every year head coach and founder Durham McInnis along with senior coaches Jacob Tober, James Cheers, and Tennille Nash lead interns through more than 30,000 hours worth of practical knowledge distilled into a fast paced six month curriculum. Learning is highly interactive, with a mix of theoretical and practical components. 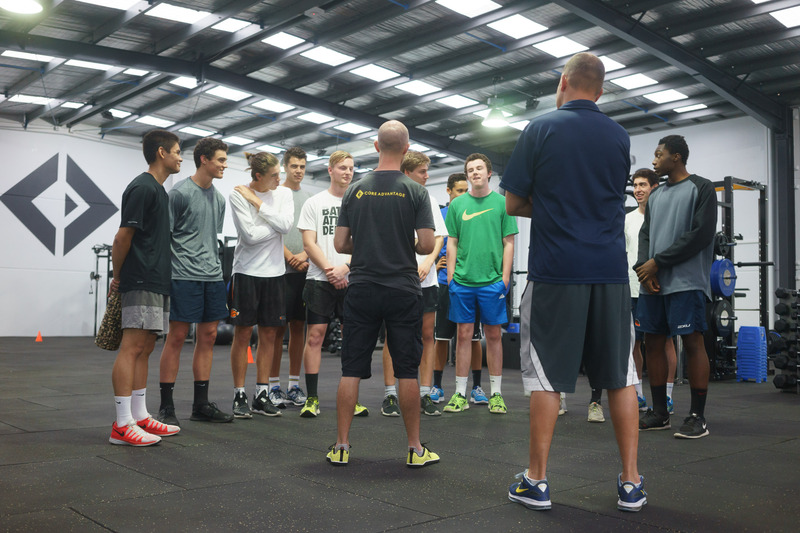 In exchange for this valuable knowledge and intensive mentoring, interns will assist Core Advantage in training our athletes, including the Deakin Melbourne Boomers WNBL team as well as a host of elite athletes across a range of sports. Free of charge. We are regularly posting to our blog and uploading new episodes to our podcast. From there you can stay in touch with our Podcast and be the first to know about new videos, articles or athlete resources. You can access the podcast from Spotify, Apple Podcasts, Stitcher or whichever podcast directory you like.